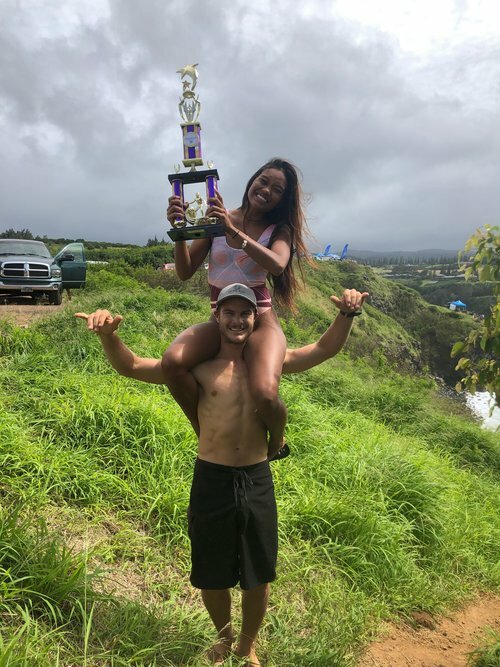 Congratulations to Starboard Dream Team Rider Zane Schweitzer on taking the win Honolua Surf Co.’s 2019 Legends Of The Bay Surf Competition in the longboard division! “If you have been to Honolua Bay on West Maui you know just how beautiful this place is and & how amazing the waves are… If not, let me tease your imagination. Honolua Bay is a marine reserve that is tucked away behind Lipoa point and protected from the heavy trade winds that blow consistently outside in the Pailolo Channel between West Maui and the island of Moloka’i. 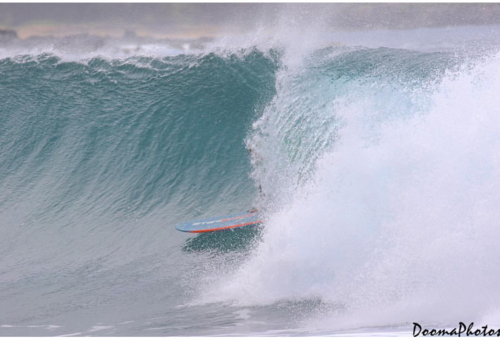 During winter swells Honolua Bay turns into one the worlds most prestigious right-hand point breaks. Thanks to Lipoa Point, swells that arrive at Honolua Bay from the Pailolo channel are mostly glassy and groomed protected from the wind by the point behind. These Powerful north swells travel down the point across outstanding reef that sits along the edge of deep water allowing for hollow waves with perfect shape. From the top of the point to the inside of the bay there are 6 different peaks that offer world-class waves with an impressive length of ride. To have Honolua Bay in my backyard is a blessing, and to have the Honolua Surf Co. Legends Of The Bay competition held each year for local surfers and pros to perform on a platform that allows us to have this wave all to ourselves in heats during a whole weekend is a treat! Although, regardless of the sweet opportunity, the competition is fierce between the athletes fighting for the title as “Legend Of The Bay”! Each year the holding period is long enough to allow for the contest officials to be patient and select a window of opportunity that will provide great quality surf. Because of this, I never know whether or not I’ll be home and present for this highly regarded event. I was so grateful to hear that the contest was called on with the green light while I was home training and spending time with family in between travels! The swell was called to be solid and potentially big so I entered both the Shortboard and Longboard divisions and I was really excited as I’m always a bit more confident in competition with bigger waves. My boards of choice for the shortboard Division were a 6’8”, 6’4” and 6’0” Joe Bark shapes along with a 5’8” Laulau Jud Lau shape. For longboard I can always trust my Carbon Starboard 9’1” which is my go to all around high-performance longboard- it works especially good in fast and powerful waves so I was feeling super excited for the Longboard Division from the get-go! I was one of the late morning heats and between competition, I was also helping as a backup judge or controlling priority flags. As a Honolua Local and Honolua Surf Co. team rider, I was requested to work these positions and was happy to help. Since I was judging I had plenty of time to watch the surf and lineup closely along with the time the sets to get more confident with the conditions for my up and coming heat. During my first heat of the weekend, I waited patiently on the outside hoping for a set wave. After 11 minutes in a 15-minute heat with no waves rolling through on the outside peak, I shifted to the inside where I perfectly missed the timing for sets that were approaching and with priority lost… Regardless of the preparation and time studying the lineup I was out of rhythm and couldn’t believe how quickly the time in my heat had flown by.. Just like that I lost out in round 1 and didn’t advance in Shortboard with the wrong timing and slow, small surf. I was super disappointed to have lost at my home break and really wanted to prove myself at home after all the success abroad… I kept my head up and helped to judge for the rest of the day and tried to clear my head for the following day of action with the Longboard Division. 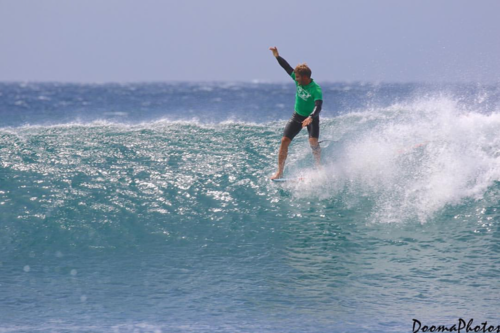 By the end of Saturday and into the next day of competition the swell had filled in. Still not as much as was forecasted but enough to have some classic Honolua Bay waves start to be ridden. I was super stoked for Longboard heats coming up. My 9’1” Carbon Starboard by Matt Moir is my all time favourite High-Performance longboard and it was working great starting off my run for the title with a nice mix of smooth, sharp turns and controlled glide through Nose rides. I continued my way advancing heat by heat till I made the final where I was up against some great local talent and pros including Kai Lenny, Scotty Fong, Ty Simpson-Kane, Lara Claydon and Matthew Vincent. This heat was late in the day on Sunday and the swell was already starting to slow down. After my mistake in the shortboard heat, I learned a lesson and reminded to hold my position and be patient. I got into a nice wave fairly early on in the heat that started off with a nice hang five to floater on the critical closeout section and was feeling stoked up to have a solid ride on the score sheets and feeling a good rhythm starting to turn on. I wasn’t able to catch many waves this heat, but selected and caught maybe 3 or 4 appropriately. Another one of my waves that felt great started with a priority battle for position with Kai Lenny but I got into it and driving down the line snuck into a nice backside travelling barrel. As time started to count down an exchange between Ty Simpson-Kane and Kai Lenny seemed to be exciting and this left me feeling that there was still a good battle for 1st between at least 3 people. When the heat finished and I started my hike back up the cliff to the top of the point and started to hear the cheers from friends and my girlfriend congratulating me! I was stoked but also felt I should wait to get excited until I hear it from the officials at prize giving! At the end of the day we all gathered for the prize giving and as names got called from 6th to 3rd, each name that was not mine was such a relief, and that relief continued when Kai Lenny was called in 2nd place. 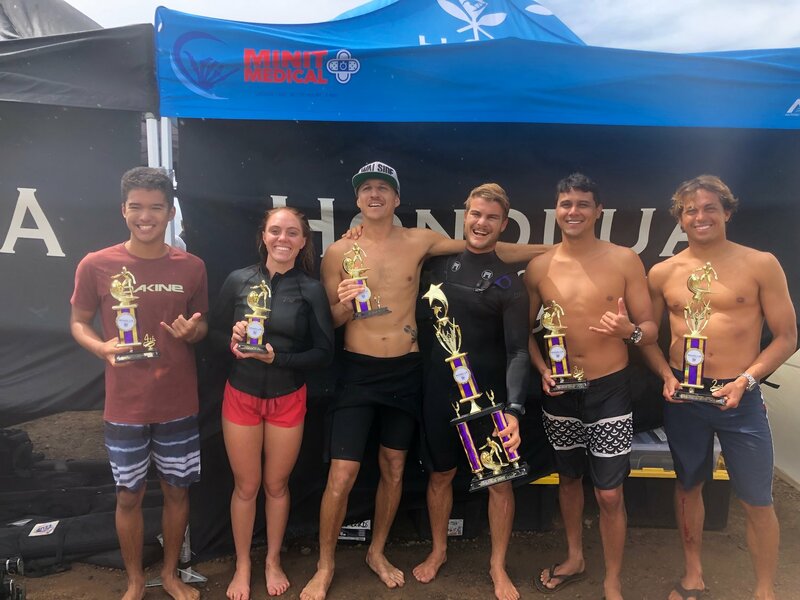 I felt the weight lift off my shoulders and was filled with pride to win at my home break alongside great athletes and crowed the Honolua Surf Co. Legends Of The Bay Champion! I am so stoked to finish off the weekend with a bunch of great waves and on top with the overall win at the Honolua Surf Co. Legends Of The Bay Longboard Division. 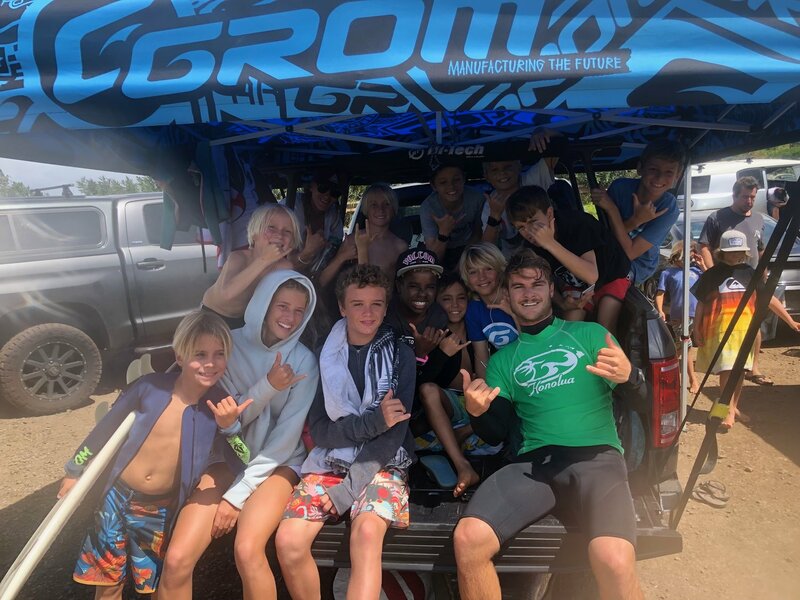 There were so many great rides the last 2 days, big congrats to all the competitors and especially to the Super Groms in the Boys and Girls Division- you are all raising the bar for the next generation of junior surfing! Mahalo nui loa Honolua Surf Co., Kiva Rivers, and all the volunteers, judges and organizers/supporters. We are so grateful to have this event every year right at home at beautiful Honolua Bay! Original article first appeared on zaneschweitzer.com and has been reproduced with permission. Images: all rights reserved by their respective owners.